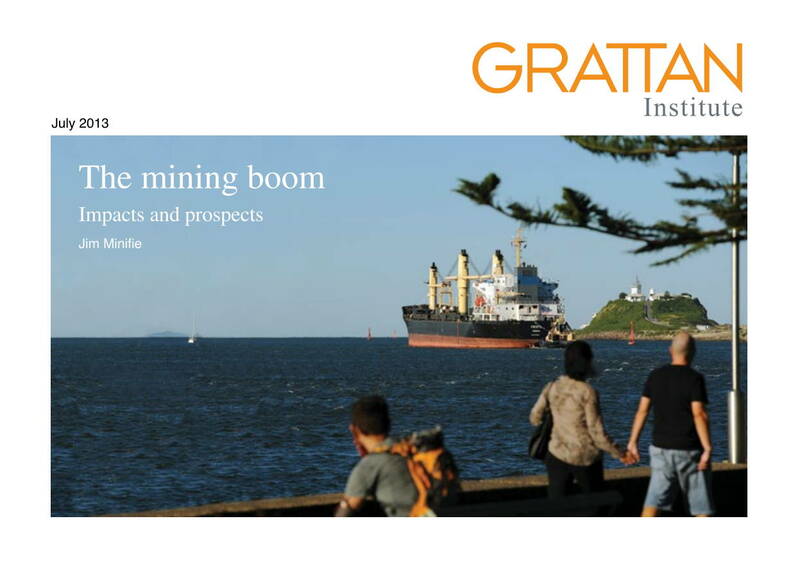 The biggest mining boom in Australian history since the gold rush of the 1850s is about to change shape. The investment phase of the boom, which has seen $400 billion invested in the last decade, is tapering off. The elevated prices paid for Australian mineral exports since 2003 are falling, and with them, the huge boost they provided to national income and government revenue. As these changes begin to transform the economy once more, this report assesses the benefits and costs of the boom, and points to what policymakers should and should not do next. Overall, the boom has been good for Australia. It helped the country weather the global financial crisis. It helped fund major government initiatives. Most Australians have prospered. 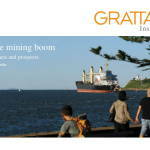 Posted in Asia Pacific, Economy, Federal, Mining Industry, Productivity and tagged Australian Economy, Australian history, elevated prices, global financial crisis, gold rush, Government initiative, government revenue, Grattan Institute, Innovation, Investment, mineral exports, mining boom, national income, policy maker, Productivity.